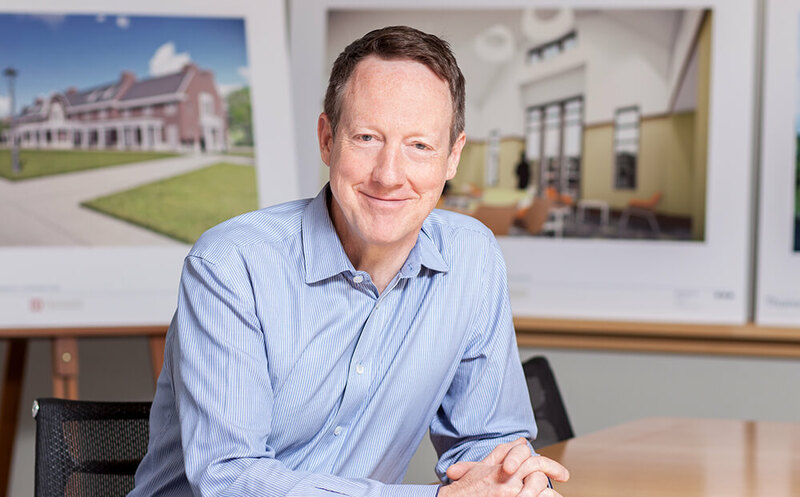 In his more than 25 years with Clarke Caton Hintz, John Hatch has managed the design and construction of a wide array of architecturally significant buildings. These include Glen Cairn Hall at TESU, the new School of Business at NJCU, the restoration of Morven, the former governor’s mansion in Princeton, the Roebling Complex Re-development, and multiple phases of the Roebling Complex Redevelopment. His work includes new and renovated facilities for Colleges and Universities, as well as public and independent schools; multi-unit and senior housing projects; historic and urban revitalization projects; as well as significant commercial and civil projects. All of his projects address issues of context, civic life and sustainability. In addition to his design work, John has written and lectured about such topics as historic preservation, sustainability and urban redevelopment.